Preheat the oven to 475°F and line a medium baking dish with parchment paper. Coat the bottom with about a ¼-inch layer of salt, then place the whole carrots in the dish and sprinkle with a good amount of salt (see photo). Don’t worry, you won’t be eating all this salt in the final result. 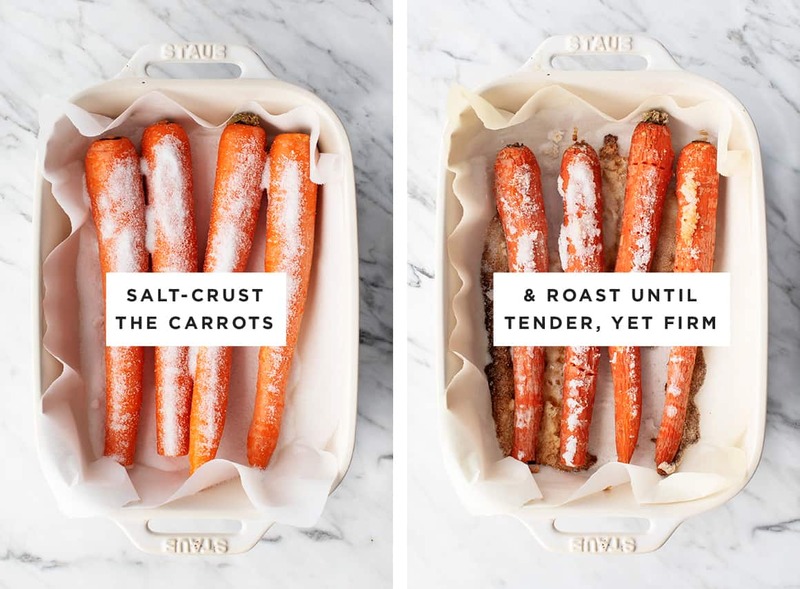 Roast the carrots for 1 to 1½ hours or until easily pierced with a fork, but not mushy. This step can be done in advance.